New Halo: Master Chief Collection Xbox One bundle released, too. 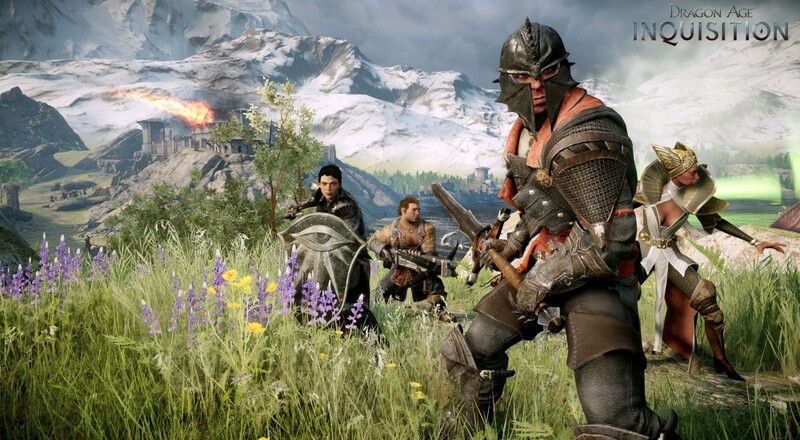 This week's Deals With Gold sale on Xbox Live drops the price on the Xbox One edition of Dragon Age: Inquisition, giving you a chance to explore the Hinterlands and join in the game's featured co-op mode for only $35.99. Inquisition's Digital Deluxe Edition, which includes a selection of in-game items, and a digital soundtrack, is also on sale this week for $41.99. You can additionally take advantage of a sale on Sunset Overdrive's Season Pass this week, which adds a number of co-op Chaos Squad zones to the game's world. Other co-op games featured in this week's sale include Mossmouth's roguelike platformer Spelunky ($5.99, or $4.94 for Xbox Live Gold subscribers), offbeat city-building sim A World of Keflings ($3.99/$3.29), four-player brawler Castle Crashers ($8.99/$7.49), chaotic platformer BattleBlock Theater ($8.99/$7.49), and the miniaturized RTS Toy Soldiers: Cold War ($8.99/$7.49). Finally, if you're a Halo fan looking for an excuse to pick up an Xbox One, you're in luck, as Microsoft has just released a new hardware bundle that includes an Xbox One and a free digital copy of Halo: The Master Chief Collection for $349. Page created in 0.2728 seconds.